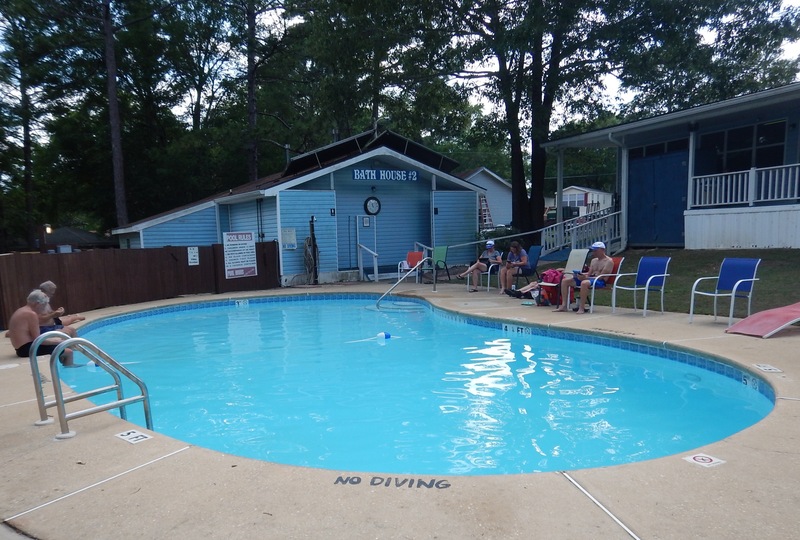 A quiet day on smooth roads ends with some pool time at our RV resort. We are happy campers today! 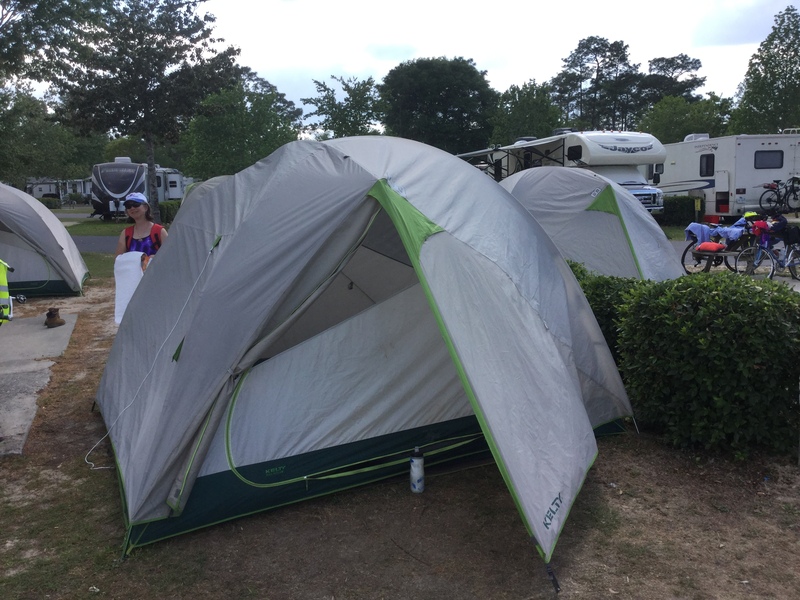 Speaking of camping, something we are now experts on, we only have 2 more nights in Tent 6! Hard to believe, but the trip will wrap up with a few indoor camping nights and a few more hotel nights. 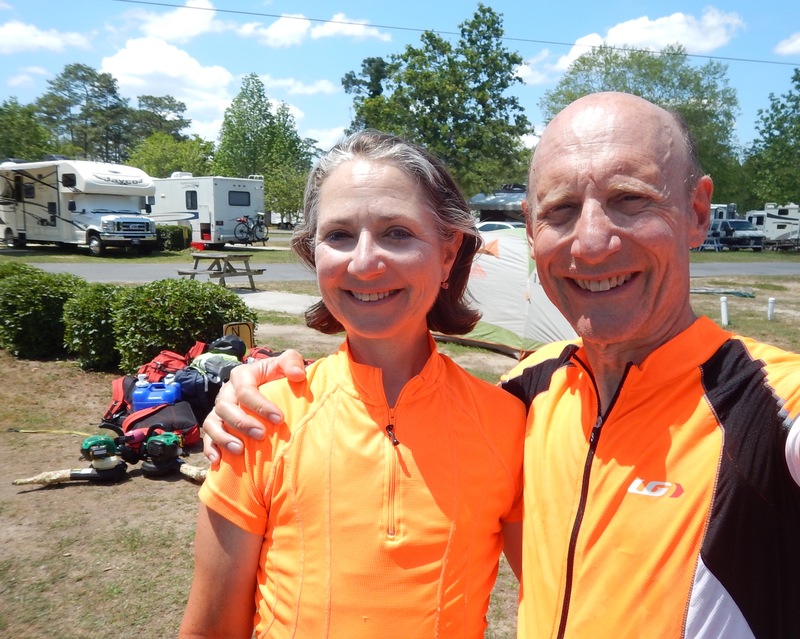 We spend the day on US Highway 90, which here in Florida, is smooth as silk. We flash back to Highway 90 in Texas which was nothing but rough chip seal. We like this much better! On the ride today we stop to photograph the animal tree. 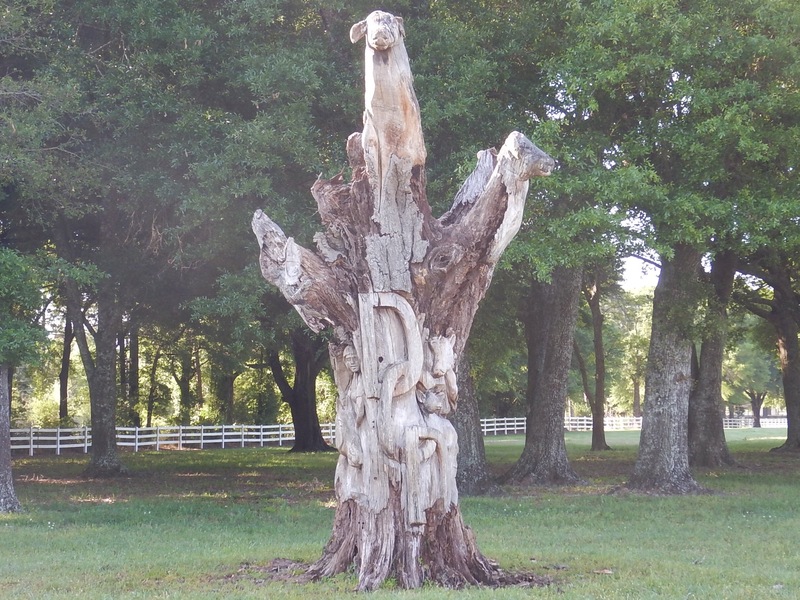 Someone spent a good bit of time whittling for this one! Lunch is at a very local spot. 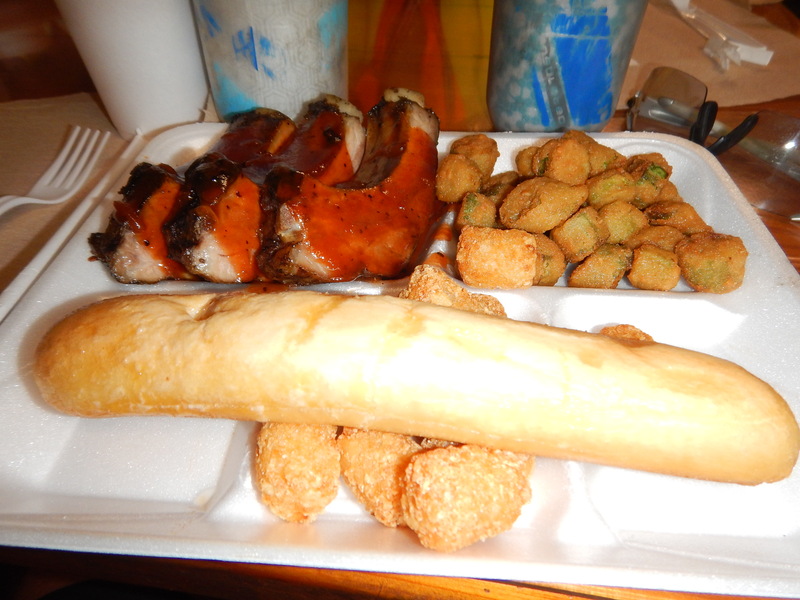 I enjoy the southern version of poutine: BBQ pork over potato logs, served on the required styrofoam plate. Roger goes for the ribs since its’s been a while. When you ride these distances, you can eat anything you want. More fried okra? Tomorrow: Six rides to go. The mileage and sweat factor begin to increase. What a great time I have had as you came across country. Thanks for your efforts to keep up the log. I look forward each day to read about your daily adventures. You guys are amazing! Yay! Almost done! I hope the winds are more favorable now that you are heading toward the Flappalachians around Tallahassee. Some beautiful riding ahead. A little bird told me that you will be in Gainesville on Saturday, camping at the YMCA? Keep on enjoying. It’s true, we’ll be at the YMCA after an 83 mile day! We are so amazed at this [almost completed] accomplishment. 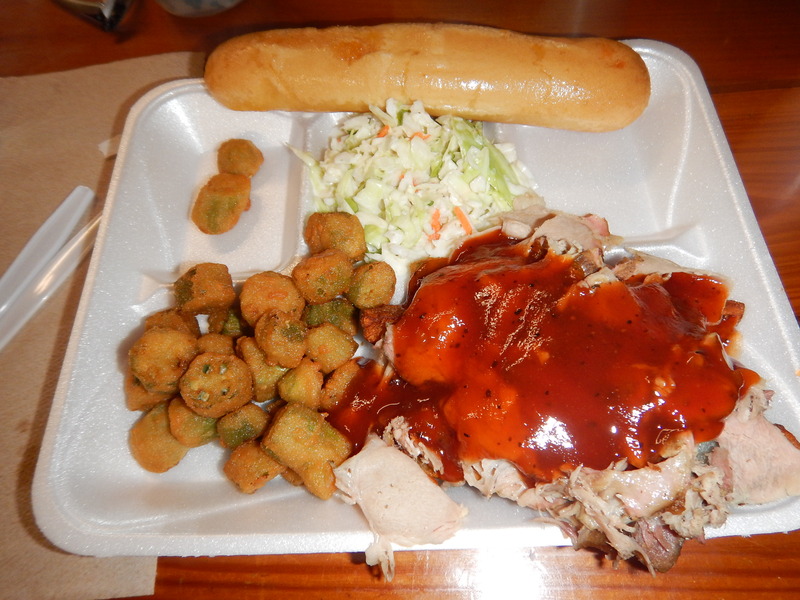 Yum… Isn’t fried okra it’s own food group? 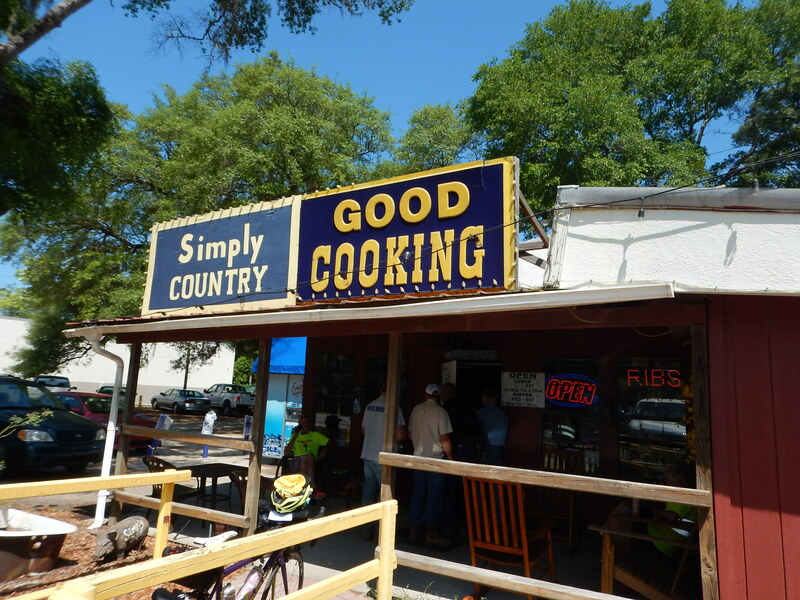 Was the BBQ as good as what you normally get in Atlanta?